UPDATE: There’s a whole conversation going on, with LOADS of Anti-Pit Bull people chiming in, in the Youtube comment thread of the above video. Click here to see it. AND there is also a great conversation thread over on our founder’s Facebook page. Click here to see it. Yes, despite ALL the progress we’ve made in recent years to educate the public and change the stigma of pit bulls, these people are still out there. Watch my video above for full insight. Then check out the email a well known Anti Pit Bull group sent me. See all three parts of the referenced interview with Dr. Katy, Steffan Baldwin, Luke Westerman and Gordon Shell in the links at the very bottom of this post. But first, checkout the full email below I’ve copied and pasted here from Julie Wall of DogsBite.org and the National Pit Bull Victim Awareness group. I received this email from Julie after our appearance on Dr. Katy’s show. My first reaction is, clearly this is a form letter she sends to all pit bull advocates she meets. How I haven’t received this letter yet, I have no idea. But she clearly saw us as advocates who are a threat to the population at large. And she’s quite accusatory, making claims about us right out of the gate without knowing or meeting us. Literally, to my knowledge, none of us have ever had a single conversation with this woman. I’m curious, as a pit bull parent or advocate, what do you make of everything Julie shared? What should our Lovabull community of advocates and pit bull parents take away from her information? Can we learn anything constructive or make any progress from anything in her email? I can tell that you have spent zero time learning about all the people, beloved pets, and livestock that have been severely mauled or killed mostly by pit bulls. Your pit bull activism is misleading and is getting innocent people and pets severely mauled or killed. Do you really think you would keep pushing powerful pit bulls onto the naïve public if this happen to your child or niece? Several weeks ago in my city a toddler was almost killed by an 8-year-old trusted family pit bull. Pit bulls do not lock their jaws but with their ‘gameness‘ trait they do not let go. Most dog breeds do not have the capabilities to hold a bite for 5 minutes while three men were trying to pull this pit bull off this child. Pit-bulls are dangerous because they have the capability of inflicting life threatening injuries in a split second. Many people lack the basic understanding of dog breeding 101. If this family would have had the correct information about the dangers of pit bulls this would have never happened. All dog breeds are human-made creations, the result of unnatural selection to achieve desired traits/ characteristics for certain tasks. They’re individuals, yes, but you should always expect for them to display those characteristics. Pit bulls have been bred for violent blood sports and to execute the killing bite. States, cities and towns need to stop catering to the 1% who own pit bull type dogs in the U.S. These pit bull owners are endangering the rest of us. The vast majority of the pit type dogs that severely maul or kill are family pets, and are not trained fighters. Pit type dogs are hardwired to maul and kill without warning, it is a part of the genetic code like border collies herd, labs swim, goldens retrieve, pointers point, and bloodhounds track. 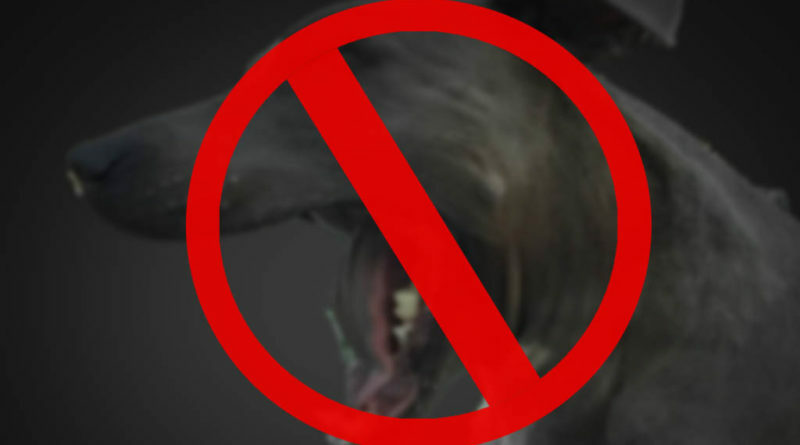 Pit bulls have been selectively bred for extreme aggression for hundreds of years for violent blood sports with a deadly bite. They are not safe or appropriate pets and should never be considered as such. Not all pit bulls will maim or kill but predicting which ones will is impossible. Pit bull-type dogs make up 6% of the U.S. dog population but are responsible for 95% of the severe attacks on people, pets and livestock every year in the U.S. By taking time to read these tragedies, you’ll discover most of the killing pit bulls came from loving homes. No other dog breeds even come close to the carnage pit bulls cause. 459 disfigurements in 2015 by pit bulls. There are irresponsible owners of poodles, beagles, greyhounds and I could name 300 dog breeds that will not lead to severely maimed or dead neighbors, pets and children. It shouldn’t be a death sentence for any of us to depend on all pit owners to raise their pit right. That’s impossible. If you think it’s how they are raised, then they should be banned. Pit bulls do not lock their jaw but with their ‘GAMENESS’ trait they do not let go until their victims are dead. Two words to prove pit bull type dogs are inherently dangerous, “BREAK STICK’. It all starts with the ethical breeder willing to produce a dog with a stable inherited temperament. Domestic animals are selectively bred for certain traits, people are not. It is not possible to discriminate against dog breeds that are purposely bred for certain traits and characteristics. Dog breeding is the practice of mating selected dogs with the intent to maintain or produce specific qualities and characteristics. There are 300+ dog breeds. Pit bull breeders are the only ones who are breeding for aggression, tenacity and power to create the ultimate canine gladiator. The reality is that it is not how you raise them, it is how they are bred. “Love” will not take away a pit bulls inherent drive to kill. They are supplying to dog fighters, drug dealers, gang members, people who want a guard dog or a dog that looks like a protection dog. Aggression is a dominant trait resulting in a 75% chance of inheritance. One needs to actively breed to eliminate it through selective breeding and deliberate attrition, things that back yard breeders never do. 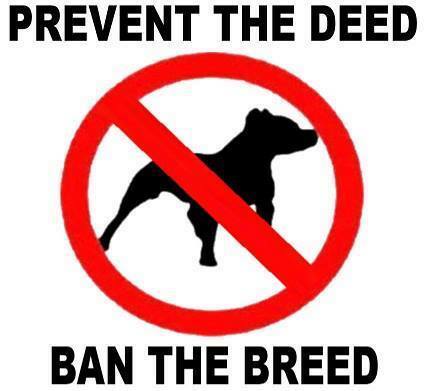 Another problem is the rampant inbreeding with pit bull that produces unsafe dog. Pit-bull type dogs are the number one dog surrendered to shelters, a million every year, mostly because of aggression issues. Then many are rehomed by irresponsible pit bull advocates back into our communities. Watch this clip of unethical backyard breeders: https://www.youtube.com/watch?v=ZiZOj9o6jpE So basically people who have pits are playing Russian Roulette against our communities. I’m a volunteer for Dogsbite.org. DBO: national dog bite victims’ group dedicated to reducing serious dog attacks. Our website contains a wide collection of data to help policymakers and citizens learn about dangerous dogs. Our research focuses on pit bull type dogs. Due to selective breeding practices that emphasize aggression and tenacity, this class of dogs negatively impacts communities the most. Here is the link to the Facebook thread from Dr. Katy I showed in the video above. Go here to give the pit bull haters your thoughts if you dare. Julie “breakstick” Wall the day she tries to use one you can bet it won’t be a pit and she’ll get herself bit and blame it on the “pit bull” crazy…..